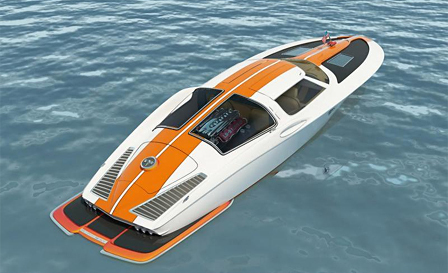 So let me get this straight…A car named after a boat is used as the design inspiration for another boat? 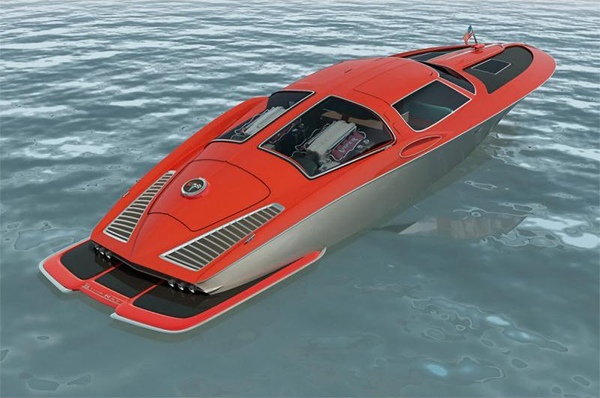 Swedish designer Bo Zolland takes the classic design cues from a 1963 Corvette split window coupe and applied it to this ultra cool speed boat design. It’s the ultimate Corvette Corvette! 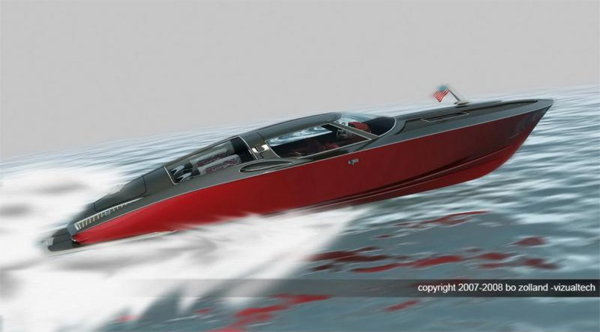 While these boats are just concepts, there is actually a swedish company taking orders to build you the real deal. Zolland offers up several different power plants that these retro speed boats can be powered by, including the 496 or 502 Mercruiser, LS9 Marine or the 550 hp Volvo Penta Diesel. In the red example about, we believe Bo goes off the deep end by mounting what appears to be dual Viper V10s just feet behind the passenger cockpit. We think if you are going through the process of recreating the original sting ray, it should at least be powered by a pair of modern 7.0L Chevy LS7s, right? [SPIED] The C8 Mid-Engine Corvette Hits the Nurburgring!